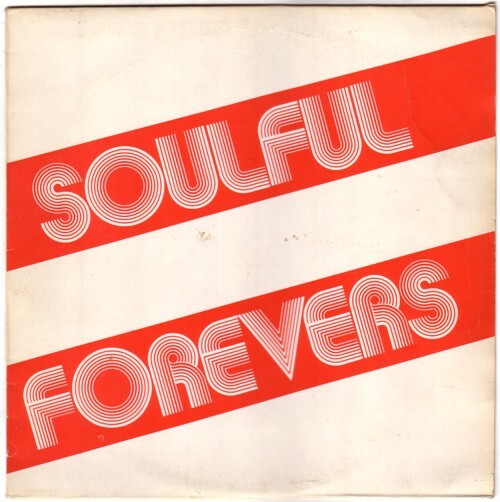 The first bootleg I ever bought was a compilation of very slow soul ballads, called Soulful Forevers . I bought it in a second hand record store, where they had several copies of this LP. After I had listened to the record at home, I went back to buy the other copies, which I gave away to friends. I could not understand why the sound quality was so bad, but I really loved the songs! You may be holding my baby by The Pussycats, “More than a miracle” by Garnet Mimms, “Have fun” by Ann Cole and “Baby come back to me” by Bobby Harris, oh boy, what a beautiful music! It turned out that this guy was part of the Surinam music scene, where these soul ballads were very popular in the sevnenties. Deejays played these songs on parties and on the Surinam pirate radio stations. Since many of the most popular songs were not available, there were several bootleg compilations made. This guy owned a record store and sold his own bootleg openly. One day he got the police in his shop and got arrested. He had to pay a penalty and all the records had to be destroyed. Somehow he managed to have only the sleeves destroyed, and he still sold the LP’s. “But how can it be that the LP’s that I bought a few months ago had a sleeve then?” I asked him. “Consider yourself lucky, son!” I didn’t ask anymore questions. It is a strange story. How many of these LP’s have been made? And how many records and/or sleeves have been destroyed? And how much copies have been sold? Another few months later the store was closed. Every now and then I see a copy of the LP in other record stores, for absurd prices. It is a great compilation, but most of the songs are now available on CD. And I have now many of the songs on original 45’s. Bought from the same guy, by the way. But that is an whole other story! Here is one song of this LP: Dedicated to the greatest by Johnny Copeland.